All COUNTRY VIEW VILLAGE homes currently listed for sale in San Antonio as of 04/18/2019 are shown below. You can change the search criteria at any time by pressing the 'Change Search' button below. 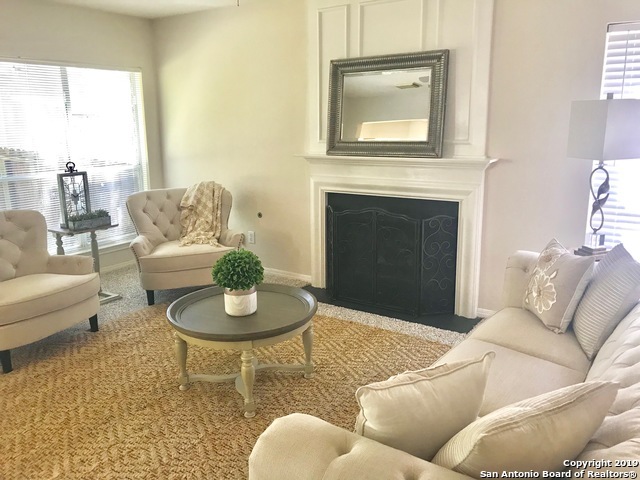 "Charming home, conveniently located near USAA, Valero, UTSA, and the med. center. Includes upgrades such as solid countertops, updated bathrooms, and wood look tile floors. Climb the spiral staircase to the loft, and enjoy a bird's eye view of the open floor plan. Trendy colors and upgraded fixtures add to the appeal of this well loved jewel. Exterior offers a spacious yard, relaxing deck for cookouts and garden boxes that are sure to be a gardeners delight! Tons of character and personality to "